At the Food Expo at the Metropolitan Expo Center in Athens last month, one of the workshops focused on Foreign Markets and How to Approach Them: USA. Nickolas Nicolaou of Loumidis Foods in New Jersey and Kostas Mastoras of Optima Foods and Titan Foods in New York discussed some important points for Greeks interested in exporting to the USA to consider. On April 3 at the Chania Chamber of Commerce and Industry in Crete, a workshop focused on gastronomy, tourism, and branding featured welcoming remarks from the Chamber’s president, Ioannis Margaronis, followed by discussions by food editor Harry Tzanis of FnL-guide.com and brand strategist Dimosthenis Broussalis of Dasc Branding. American olive oil expert Alexandra Kicenik Devarenne spoke with me on a recent visit to Greece. Suggesting “Greek olive oil hasn’t made the mark it deserves in the US market,” she discussed its status in the USA -- surprisingly “underappreciated” and mostly in an “ethnic niche” – and shared ideas about breaking into the American market. On March 23, a free event in Athens organized by the Society of Olive and Olive Oil Products of Certified Quality (EL3P) will focus on "Quality as a Factor in the Economic Value of Olive Products." Alexandra Devarenne, co-founder of the Extra Virgin Alliance (EVA), will be the keynote speaker. She explained the goals of EVA on a recent visit to Greece. Is your bottled extra virgin olive oil available in the USA, the UK, Canada, Australia, or other countries where English is (at least sometimes) spoken, either online or in stores? If so, please let me know (by email to info@greekliquidgold.com or via Facebook message) where and how it is available there. I sometimes receive queries about where people can buy Greek EVOO, so I have now published a list, which I update as needed. Do you like what you see here, want to gain increased international exposure and help your potential customers learn about your products, and help this website continue to flourish? Read here about supporting Greek Liquid Gold's efforts to promote the high quality and health benefits of Greek extra virgin olive oil with advertisements on this site starting at just 10 euros + VAT per month, or by hiring Greek Liquid Gold writer, editor, and creator Dr. Lisa Radinovsky to help with English-language writing and/or editing for your company's website or other promotional materials. This is likely to interest olive millers. Click on the title at the linked page to read the entire article. Here you can learn the titles and authors of the articles in the latest edition of this Greek magazine about olives and olive oil. At the initiative of Greek born Yale University professors, Yale is setting up an International Institute of Olive Oil and Olive Oil, to be called Yale Olive Institute. It will hold its first world congress in Delphi in December. Olive oil scientists organized by the Olive Encyclopaedia Scientific Society (4E) have now been incorporated as Associate Members of the National Interprofessional Organization of Olive Oil (ΕΔΟΕ) in an effort to foster cooperation between scientists and businesses in the sector. The TradeUSA Department of the American-Hellenic Chamber of Commerce has signed an agreement with the American company EAS Consulting Group for the support of Greek export companies in their compliance with United States Food and Drug Administration (US FDA) regulations. Intriguing proposals for the commercial use of olive oil, ranging from the simple to the complex, from chemistry professor Dimitrios Boskou. There will be an informative seminar about Xyllela fastidiosa at the Olive Institute in Chania, Crete at 6:00 in the evening on March 18. Κορυφαίες διακρίσεις για το Οργανοληπτικό Εργαστήριο του ΣΕΒΙΤΕΛ! Two olive oil tasting teams from SEVITEL's organoleptic laboratory won first and second prizes in a Greek national tasting competition. They will compete in an international competition in Spain in October. There will be a free training program on March 12 in Drama about olive tree fertilization, pests and diseases that threaten the olive tree and how to deal with them, as well as the pruning of olive trees, including practice in an olive grove. This describes a new free publication by the Association of Cretan Olive Municipalities (ΣΕΔΗΚ) based on World Olive Day talks in Crete last fall. Aimed at tourism and catering professionals (and likely to be especially useful to tour guides and travel agents in Crete), it includes information about museums, monuments, monumental trees, tavernas featuring local olive oil, and more about the culture, history, and health benefits of olive oil. Information about the organoleptic tasting laboratory at SEVITEL which is led by Efi Christopoulou, accredited by the National Accreditation System (ΕΣΥΔ), and recognized by the International Olive Council. A fascinating article by agronomist and nursery owner Giorgos Kostelenos about the origin and domestication of the olive tree, with particular attention to an ancient olive tree in Naxos which he says is the oldest in Greece. Originally published in Ελιά & Ελαιόλαδο, τεύχος 85. This article offers food for thought about why large Greek restaurants and hotels often import non-Greek products. An important discussion of olive fly control in Greece by the agronomist Dr. Spyros M. Lionakis, Emeritus Professor of Arboriculture at the Technical Educational Institute of Crete and a former researcher at the Institute of the Olive, Subtropical Plants and Vines in Chania. This article was first published in Issue 85 of Ελιά & Ελαιόλαδο. The contents of the latest issue of this Greek publication, and information about how to subscribe. This describes and justifies a technology that allows the tracing of many details about an olive oil's variety, processing, storage, etc., all available via a consumer's smart phone in the store. This is about Spain, but I would love to see some global agricultural heritage sites in Greek olive growing areas; wouldn't someone like to propose that? This is the United Nations page about it: http://www.fao.org/giahs/en/. An olive oil tasting workshop and conference organized by the Krinos Olive Center in collaboration with the Athena International Olive Oil Competition will take place on Friday, January 25 at Perrotis College in Thessaloniki. Pre-registration by email is required. Greek speakers may wish to note that there is a special offer a few days for a 2019 subscription to this magazine: Annual subscription (4 issues), 25 €, reduced from 30 €. Expert virgin olive oil taster Irini Kokolaki will join agronomist and taster Dimitris Psathas at the historic 1924 residence of painter Tetas Makris in Thessaloniki on February 2 for a guided tasting of a variety of Greek olive oils from the current year's harvest. 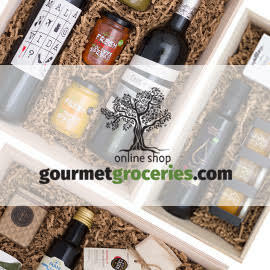 See the link and email info@o-oliveoil.com for more details. Information about SEVITEL's organoleptic (olive oil tasting) laboratory, including contact information. The Food Expo - Greece organizer, Forum SA, is now offering the opportunity for any Greek olive oil standardization company that participates in Food Expo to also enter an olive oil sample in Φίλαιος / Filaios's Kotinos Olive Oil Competition free of charge! Applications are due February 28. Barely mentioning Greece, this Mercacei article implies that Greek exporters have work to do in Canada. It is interesting for its points about Quebec and Ontario as the main provinces that import virgin olive oil. As Daniel Dawson writes for Olive Oil Times, "The sensor uses a combination of laser diodes and computer-constructed algorithms to measure light emissions from samples of olive oils to determine whether they are correctly labeled." I recently updated the Competitions and Awards page of the Greek Liquid Gold website, adding links to the websites of several major international competitions. Some deadlines (early bird or otherwise) are coming up. To see them, scroll down past the introductions to my original articles, down to the Selected Future Events section of the page. News from Mercacei about innovations in Spain, many of them very interesting. There will be a seminar on olive tree pruning and fertilization, with practical training in an olive grove, led by Dr. Ioannis Metzidakis and Mrs. Eleftheria Germanaki, in Rethymno, Crete on Saturday, January 12. See the linked announcement for more information, including how to register. A detailed summary of several speeches about rural innovation, specifically developing intelligent agriculture to increase agricultural productivity in Greece using education, advisors, and technology. An interesting technological development in olive oil production. For Greek speaking graduates of universities and TEIs: the Department of Food Technology in the School of Technology of Agriculture, Food Technology and Nutrition at the Technological Educational Institute of Peloponnese announces the establishment of a new Postgraduate Studies Program entitled "Technology and Quality of Table Olive and Olive Oil" which will lead to a Master of Science degree. For Greek speaking employees of exporting departments of food and drink companies, and those who wish to acquire or upgrade strategic marketing skills: there will be a seminar on "Critical Issues in Export Strategy" at the offices of SEVE in Thessaloniki on November 28. A PowerPoint presentation by Efi Christopoulou, Chemical Expert of the EU, which she presented at the meeting of the Scientific Society of Olive Encyclopedists (4E) in Kalamata on October 29, 2018: a concise guide to the protection and enhancement of the quality of virgin olive oil (in Greek). There will be a seminar in Rethymno, Crete on the use, selection, and tasting of olive oil (among other things) with chef Yiannis Tsivourakis and judge, trainer, and lab director Eleftheria Germanaki on Saturday, December 8. A report on some of the comments from a recent 4E event in Kalamata, including Vassilis Zampounis's general thoughts on olive oil prices. A summary of additional information from the event is in this Olive News article. A 5-page guide to recommended practices in the production of olive oil from SEVITEL. Predictions for the olive harvest in Crete, with observations on early results in the Chania area. A report on a recent World Olive Day event near Rethymno, Crete, focused on olive oil tourism, by the scientific director of the Association of Cretan Olive Municipalities (SEDIK). A report on a recent World Olive Day event in Chania, Crete, focused on olive oil use in restaurants, by the scientific director of the Association of Cretan Olive Municipalities (SEDIK). This press release provides an overview of what was discussed at the 5th Panhellenic Conference on the Development of Greek Agriculture, which was held on October 25, 2018, in Heraklion, Crete, on Digitization: European Agriculture Tomorrow. This Greek article from Kathimerini provides a useful overview of the recent Yale conference, which brought together scientists and experts from Greece, the USA, and other countries. An overview of the olive oil market in Canada, with useful general advice for Greek companies that wish to export to Canada. Mercacei's report on the increasing use of olive oil in Brazil, almost all of it imported. GAIA Epicheirein’s 5th Panhellenic Conference for the Development of Greek Agriculture will take place on Thursday, October 25 in Heraklion, Crete. Drawing major Greek and European political figures and welcoming members of organizations and businesses in the agro-food sector, its theme will be Digitization: Tomorrow's European Agriculture. Important information about this disease, which affects olive trees and other plants. There will be a world olive day event focused on olive oil tourism (a type of agrotourism and culinary tourism) in Crete in Rethymno on Wednesday, October 24. "The seminar covers all practical aspects of the export process, from infrastructure to the tools needed for success. Based on real case studies the seminar examines the regulations and mechanisms that lead to export success and profitability." For producers of agricultural products who wish to start exporting. For more info in Greek, see this. An informative event on "The new olive oil season 2018/19" organized by the Municipality of Kalamata and the Scientific Association of the Olive Encyclopedia (4E) will take place in Kalamata on Monday, October 29, focusing on markets, prices, care of olive trees and olive oil, and promotion of olive oil. Two of the main points in this article, the first referring to olive oil: “'The findings of our recent study indicate that the food fraud incidents are not limited to the product in question and may even affect consumers’ perceptions of the accuracy of labelling across countries,' said Syed Imran Ali Meerza, one of the study authors. 'This highlights the importance of collaborative, international efforts to combat food fraud.'... [A] greater commitment to transparency and increased awareness of food authentication techniques and relevant accreditations will go a significant way towards repairing public trust in the food and drink industry." There will be a World Olive Day event at the Mediterranean Agronomic Institute of Chania which will feature a number of experts discussing such topics as olive oil quality, how to use it, its use by restaurants, and olive oil tasting. There will be an experiential seminar on quality control, organoleptic evaluation of olive oil, and key quality factors, including standardization and the final product, at the organoleptic laboratory in Rethymno, Crete, on Saturday, October 27. Please contact the organizers (adding an "r" to the end of the email address at the linked site) if you wish to attend. Το νέο ΕΛΙΑ & ΕΛΑΙΟΛΑΔΟ εκτυπώνεται! The 85th issue of the Olive and Olive Oil magazine, first published in 1997, is being printed. This is the first issue of the new edition of an informative periodical published by Vasilis Zambounis with the support of the Scientific Society of the Olive Encyclopaedia - 4E. It is addressed to olive growers, olive millers, table olive processors, agronomists, chemists, cooperatives, and businesspeople who read Greek. A World Day of Olives and Olive Oil conference on olive oil and tourism, gastronomy, cultivation, environmental management, and promotion in the Municipality of Pylos-Nestoros, October 12-13. Pre-registration is required. A seminar about good harvesting and extraction methods with Irini Kokolaki, for Greek speakers who work with or are interested in olive oil. The Municipality of Pylos-Nestoros will hold a two-day event October 12-13 to celebrate the "International Day of Olives and Olive Oil," focusing on olive tourism and the connection of olive oil with other forms of tourism, the promotion of extra virgin olive oil in gastronomy and its connection to gastronomic tourism, and municipal actions for the promotion of olive products. SEVITEL will organize an olive oil bar at the Greek Product Pavilion at the 1st China International Import Expo in Shanghai, China November 5-10. Greek companies interested in exporting standardized branded olive oils in China, including those that already do so, are welcome to contact SEVITEL if they wish to display their products at the exhibition. Olive oil producers, millers, and standardizers, as well as others involved with olive oil may wish to attend this SEVITEL seminar to learn about disease risks, olive cultivation, olive harvesting, processing in the olive mill, olive oil storage, standardization, marketing, and exporting. Greek companies producing extra virgin olive oil are invited to participate in the Olive Bioteq 2018 Conference in Seville, Spain by presenting their olive oil there. 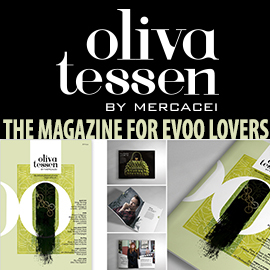 For more information, contact Irini Kokolaki at info@o-oliveoil.com. This concise article provides some useful general information about the French olive oil market for Greek exporters interested in targeting it. This seminar with Dr. Ioannis Metzidakis and Mrs. Eleftheria Germanaki on Saturday, September 29 in Rethymno, Crete will cover the olive harvest, olive oil production, organoleptic assessment, and relevant legislation. Advance registration is required. An event at the Thessaloniki International Fair will explain why and how companies can get an official Greek label for olives and olive oil. This Mercacei article focuses on Spanish exports but includes information that could also be useful to Greeks interested in exporting olive oil to Japan. The 5th Panhellenic Conference on the Development of Greek Agriculture organized by GAIA Epicheirein will be held on Thursday, October 25 in Heraklion, Crete. Το Ελιά & Ελαιόλαδο επανακυκλοφορεί! After a break during the Greek economic crisis, the Olive & Olive Oil magazine published from 1997 to 2013 will return this October, again published (in Greek) by Vassilis Zambounis, and now also supported by the staff of the Scientific Society of the Olive Encyclopaedia (4E). See the article for subscription information. Vassilis Zampounis writes in Olive News that an amendment to EU regulations about olive oil labels has come into force; he describes the changes in this article and another one linked in it. The 25th Panhellenic Young Farmers Conference will take place in Livadia, alongside the 1st Panhellenic Farming and Livestock Festival, Agrofest Sterea Ellada, September 20-23. This Greek article is a press release with links to more information about how companies can get a Greek label for olives and olive oil. This English-language article in Olive Oil Times offers useful information about German tasters' focus on the harmony, or balance, of fruitiness, bitterness, and pungency in extra virgin olive oil. SEVITEL is offering seminars on Saturday, June 23 and Friday and Saturday, June 29-30, focused on the phenolic content of Greek olive oil and organoleptic analysis of olive oil. This mainly relates to the discussions about table olives at the recent international conference at Perrotis College in Thessaloniki, but some of the points and innovations may also interest olive oil producers. Technical information from the Ministry of Agricultural Development and Food and the Regional Plant Protection Center in Heraklion about how to combat pests that plague olive trees. Enterprise Greece is organizing an informative workshop from 9:30-3:30 on Thursday, June 7 at the Electra Metropolis Hotel in Athens, within the framework of the official national participation in the Summer Fancy Food Show in New York from June 30 to July 2, 2018, where Greece will be the partner country. Vassilis Zampounis discusses the European Commission's plans to amend Basic Regulation 29/2012 on olive oil labeling. A wonderful opportunity for Greek speakers in Rethymno, Crete all day on June 2nd: a seminar with Efi Christopoulou, a chemistry expert who has worked with the EU and the International Olive Council, with experience in the organoleptic method since 1982. The focus will be "Organoleptic Evaluation of Olive Oil and Legislation," including analysis of samples from the main Greek varieties. The Municipality of Serres and the University of Macedonia are sponsoring a conference in Serres titled "Agri-Food Sector, New Technologies, Entrepreneurship, Local Development" May 24-26, 2018. This is a press release describing research to be presented at the conference Table Olives: Pursuing Innovation, Exploring Trends, May 24-26, 2018, at the Krinos Olive Center at Perrotis College in the American Agricultural School in Thessaloniki. This is a page from the Greek Ministry of Rural Development with photos and information to help Greeks avoid having Xylella become a problem in Greece. This article in Agrocapital provides a brief overview of the importance of keeping Xylella out of Greece and the ways to do so, with links to additional information, all in Greek. This article discusses the establishment of an Olive Encyclopaedia Research Society called 4E (because of its Greek name) and lists its founding members board members. 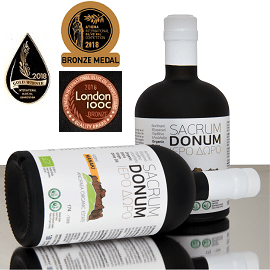 The Association of Cretan Olive Municipalities (ACOM or SEDYK) will be offering awards for what they consider the best practices of bulk olive oil sales through auctions or competitions and the sale of standardized olive oil with producers' participation. See the article for details before the end of May. Useful general background information for anyone considering exporting olive oil to India. SEDYK's Dr. Nikos Michelakis provides advice on helping olive groves through droughts and unseasonably hot weather, as in Crete. The Hellenic-German Chamber of Commerce and Industry and other organizations are sponsoring a two-day promotion of Greek traditional products with a conference and B2B meetings of German companies with Greek producers on May 24 and 25 at the Cultural Center of the Municipality of Lamia. From last June, for background now that "New EU rules to encourage more farmers [to] grow organic, tighten controls and improve quality of organic food were informally approved by the European Parliament on Thursday, 19 April 2018." A Greek overview is available here. To stay informed and help keep Xylella fastidiosa out of Greece, this informative 33-page online document may be useful. This is in English; perhaps it will be translated into other languages as well. Information about fertilizing olive trees, with citations to scientific articles. Information, caution, and advice on keeping Xylella out of Greece and what to do if it appears here. While Xylella fastidiosa has not been found in Greece, it has been detected in the region of Madrid, Spain, and Greeks are asked to be vigilant and to inform authorities if they believe they see any sign of Xylella in Greece at any time. Advice on irrigation of olive groves in dry areas to reduce the drought's negative effects on flowering and fruiting. Many groups in the Spanish olive oil sector emphasize their support for sensory tests of virgin olive oil. The first in an OliveNews.gr series about options for standardization of individual portions of olive oil: innovative tin cans in various sizes, starting at 50 ml. Reminders about how Xylella fastidiosa can be spread, and hence how to avoid it, with a link to additional information. This article summarizes and links to a report by the Greek embassy in Tokyo on the current situation of olive products on the Japanese market. Kostas Boutas calls on olive oil producers to establish an export-oriented Olive Oil Management Agency. A Greek version of an article about the opportunity to comment on the European Commission's proposed amendments to the Olive Oil Regulation, which relate to the acidity parameters and the cases in which the crop year should be indicated. This is a summary of the main conclusions of two major EU-funded research programs for the fight against xylella fastidiosa, POnTE and XF-ACTORS, from the final text of the annual program meeting held in Mallorca in November 2017. There is also a link to the full 33-page English report. Here is a different perspective, from Athan Gadanidis of the Aristoleo Awards for high phenolic extra virgin olive oils, about what Americans want in an olive oil, and how to get it to them: through spicy hot, extra healthy, high phenolic EVOOs, not mild ones. This is an overview of precision agriculture's methods, benefits, and challenges. Dr. Nikos Michelakis, scientific advisor to the Association of Cretan Olive Municipalities (SEDIK), offers advice on how to take care of dry olive groves during times of drought or limited rainfall. A conference on table olives at Perrotis College in Thessaloniki in May will feature internationally known experts. For more information, see also the conference website. This is a fairly detailed summary of the activities of the Association of Cretan Olive Municipalities (ACOM or SEDIK) over the past three years. Writing in OliveNews, Vassilis Zampounis predicts lower producer prices, based on what is happening in Spain. The Kalamata Olive Oil Tasting Laboratory of the Technological Educational Institute of Peloponnese, which is recognized by the International Olive Council for the organoleptic testing of olive oil, is organizing seminars in March and April. The Perrotis College Olive Center is organizing an international conference with the title "Table Olives: Pursuing Innovation - Exploring Trends" on May 24-26, 2018 at Perrotis College, campus of the American Farm School. An extensive report (in Greek) by the Greek Embassy in Washington about the purchase of table olives in the United States (as introduced by Olive News here). The Regional Center for the Protection of Plant Quality and Phytosanitary Control of Volos has published a bulletin with advice for producers on treating problems with olive tree diseases and insects. This is a brief overview of a study drafted by the Greek Diplomatic Delegation's Office of Economic and Commercial Affairs which estimates that "the demand for olive oil by Americans will follow an upward course in the coming years, which should not be underestimated by Greek producers, as the future of olive oil exports seems to be in America." The article includes a link to the full 63-page document, which includes an appendix listing many importers, distributors, and stores (starting on page 35). This is all in Greek (aside from American importer/distributor/store names and addresses). Here is a summary in English from Olive Oil Times. Advice on pruning is available here, in Greek. This article provides an overview of SEVITEL's goals and actions, including the Kotinos and Olive Challenge competitions, as well as some notes on the worldwide olive oil market. A short article by "a group of Master’s students studying International Business at Carlos III University – Madrid" in which they "analyze the current situation" of the olive oil industry in the USA. Registration has begun for seminars starting in mid February for those who want to enrich their agri-food knowledge and skills and those who intend to develop sustainable entrepreneurship by exploiting the natural resources of the local rural economy. Sponsored by the Κέντρο Αγροδιατροφικής Επιχειρηματικότητας Μεσσηνίας. 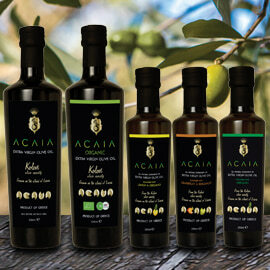 Cavendish Farms, one of the largest in the North American industry, contacted the Office of Economic and Commercial Affairs in Toronto to express an interest in direct cooperation with Greek olive oil standardization companies in order to buy small quantities of extra virgin olive oil. Information about a program to help very small, small, and medium sized Greek manufacturing companies that are already exporting to participate in trade fairs outside Greece. The co-writers of the Olive Encyclopedia have established a Scientific Society of the Olive Encyclopedia, starting with 29 distinguished scientists interested in interdisciplinary collaboration focused on olives and olive oil. The society supports cooperation among academics, the olive oil industry, and olive growers to foster innovation. Other scientists who share these goals will be invited to join the society as well. This article describes a Hellenic-German Chamber of Greece program that provides significant help to Greek businesses, supporting their presence at major international exhibitions at a reduced cost; it was discussed at an event on January 29, as part of the EXPOTROF International Exhibition of Food and Drinks at the Fencing Exhibition Center in Elliniko, Athens. This is an interesting article about the effects of irrigation and drought, likely inspired by Spanish problems with drought, but including many general observations. Another usefully informative article from OliveNews.gr, this time about the most important physico-chemical parameters of olive oil. This is based on research done in Tunisia, so the precise recommendations may not fit Greece, but the findings seem worth considering. This story about restaurants that use different EVOOs in different dishes is about Italy, but shouldn't the same thing be done in Greece? If it is, I'd like to hear about it and write about it. This seems like the perfect way to highlight the varying qualities of different types of EVOOs. Useful information on how to store olive oil. This is Vassilis Zampounis's thought-provoking summary of key points made at, and questions raised by, the recent 2nd ExportUSA Forum 2017, titled Analyzing the American Food Reality, organized by the TradeUSA Department of the American-Hellenic Chamber of Commerce. 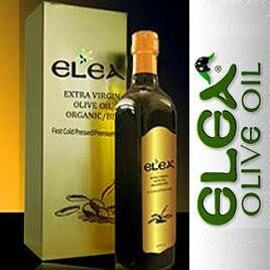 It is useful for anyone interested in exporting olive oil to the USA. An overview of the new regulations governing the fertilization of olive groves and use of olive oil waste as a fertilizer. This article provides one example of how people in one part of Greece (Rethymno, Crete) are making plans to put single serving bottles of olive oil on restaurant tables starting in January. A consideration of the new law about single serving olive oil in restaurants, from the perspective of some Cretans. In this interview with Fani Giannakopoulou of ypaithros.gr, Vassilis Zampounis discusses expanding olive cultivation in Greece, single serving bottles of olive oil in restaurants, the problem of bulk trading of olive oil and a lack of Greek competitiveness, and the new olive oil encyclopedia. This article provides an overview of the law going into effect January 1, 2018 that requires the use of sealed single-use bottles of olive oil on restaurant tables in Greece. This is not new news to many in the Greek olive oil world, but it is a report on a recent Wall Street Journal article about how much Greece is losing by exporting so much of its olive oil in bulk, rather than bottled and branded. See below on one of the efforts to change this. Greek interprofessional organizations for olives, olive oil, honey, and wine are joining ΣΕΒ to "launch an initiative to cooperate and promote common positions to support the agri-food chain, produced from Greek soil, such as oil, honey and wine." This is a list of the Greek olive oil analysis laboratories certified by the International Olive Council (IOC) from December 2017 to the end of November 2018. This article provides an overview of a new regulation passed by the European Parliament that will become effective on January 1, 2018. Rapporteur Albert Dess says it will be simpler, fairer, and better suited to the needs of farmers. Το κρύο κάνει καλό. Ο πάγος όχι. This explains the beneficial effect of lower temperatures on olive oil's flavor and aroma and the problematic influence of frost on olives before the harvest. This Greek article answers some common questions about new European rules on organic production, which are expected to come into force on January 1, 2021. SEDIK's publication of SEVITEL's press release provides the most detailed discussion I've seen of the law about single-use containers of olive oil for Greek restaurant tables starting in January. Information about the olive and olive oil market in Sweden, with a link to additional details. This is for anyone interested in learning more about the future of Europe's Common Agricultural Policy. Following the publication of the book "Olive Encyclopedia: Olive Oil," olivenews.gr has launched an open dialogue column, inviting questions and comments for the book's authors via email or public comment on the website. This is about agrogate.gr, which looks like an important new service to connect Greek exporters with foreign importers. More details about the story behind the new Olive Oil Encyclopedia and a recent event in Athens to introduce it. This article contains a number of useful points about olive oil promotion, investments, exports, exhibitions, and competitions that were raised at a recent Filaios event in Athens. SEVITEL's organoleptic laboratory is now open, after the merger of ESVITE with SEVITEL. See the article for more information. Is California ripe for expansion of olive oil production? This article (in English) seems to have nothing to do with Greece, but its points about the state of the US olive oil market might be worth considering. Clearly, Americans need to be convinced both that olive oil is worth buying, and that Greek extra virgin olive oil is authentic and high quality. This is the speech of the Honorary Professor of Arboriculture - Olive Oil of the Aristotle University of Thessaloniki at the presentation of the new “Olive Encyclopedia: The olive oil” (a Greek book) in Thessaloniki, which explains why he thinks the book will be useful to anyone interested in olive oil. Filaios, the Association of Friends of Olive Oil, has announced the first Innovation and Entrepreneurship Competition in the Greek olive oil sector, with the goal of the development and upgrading of the olive sector through the introduction of innovation, sustainable development, and innovative entrepreneurship. More information is available here. Very interesting perspective of one of China's first olive oil tasters: news from an emerging market. The Association of Cretan Olive Municipalities (SEDIK) approvingly reproduces SEVITEL's press release about the new law requiring the use of bottled and branded olive oil on restaurant tables starting in January. Some details are clarified here. This is not exactly about olive oil, but Europeans' interest in healthy organic vegetarian foods is relevant to olive oil producers and exporters. A “large proportion” of European shoppers are buying “healthy”, organic, vegetarian and free-from foods, new research from IRI reveals. The Hellenic-American Chamber of Commerce and the Specialty Food Association (SFA) will develop a 3-year exclusive partnership for Greece that will include education and a commercial interconnection. Following an educational day in Crete about Xylella fastidiosa, which has not been found in Greece but has destroyed olive trees in other European countries, SEDIK reprints an article from Chaniotika Nea with links to information about the bacterium. Not specifically about olive oil, but discussing trends it may be useful to keep in mind. This article describes the rules for the trading, marketing, distribution, and sale of olive oils and seed oils. This article about the growing of Kalamata olive trees in other countries, and various popular activities, classes, and stores organized around olive estates, seems meant to inspire Greek olive growers to more creatively use their land and products as well. Businesses exporting to the United Kingdom may want to consider changes likely to be made due to Brexit. Advice for olive farmers from a Greek professor working in Italy, plus a discussion of experiments underway and climate change's possible effect on olive growing. 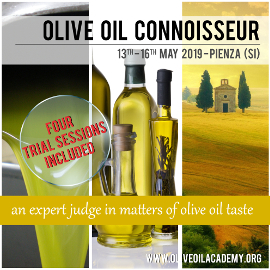 As Ylenia Granitto explains in Olive Oil Times, "Part of Europe's Horizon 2020 research and innovation program is an ambitious plan to find common approaches and analytical tools to check the quality and authenticity of olive oil." "As Taiwan's FDA targets esters in their efforts to aid in differentiation, the International Olive Council said a recent study contributes little to the cause." Note: I wonder if the IOC's conclusion is debatable. The ability to determine whether olive oils have been refined should be advantageous to Greek producers of EVOO. "New rules to increase consumer trust in organic foodstuffs and unleash the sector′s potential for growth were informally agreed with Council′ negotiators on June 29," but not yet approved. If approved, they will apply from July 1, 2020. The Greek Embassy in Tokyo has set up an e-portal for Greek businesses in Japan, one of the largest olive oil importers. It provides a useful online guide with business and commercial data and information necessary for exporters to Japan. In addition to the portal itself, this article provides a fairly detailed overview of it, in Greek. The Government Gazette published the Joint Ministerial Decisions setting out the conditions and annual fee for the awarding of the Hellenic Sign to extra virgin and virgin olive oil and table olives. For Greeks who use, produce, believe in, and/or care about olive oil (since this is all in Greek): you can become a member of Filaios, the Association of Friends of Olive Oil. More info here. Ελαιόλαδο από αιωνόβιες Ελιές παράγεται και προωθείται στην Ιταλία! Very interesting article about extra virgin olive oil in individual dose packages for pregnant women, children, and athletes, now produced from centuries-old organic olive trees in Apulia, Italy; Dr. Nikos Michelakis suggests trying the same thing with some Greek olive trees. Προδημοσίευση πρόσκλησης για τα "Σχέδια Βελτίωσης"
This is a press release about the preliminary announcement of a call for improvement plans for an investment program from the Rural Development Program. Tο olivenews.gr στο συμπόσιο "Made in Greece"
This informative article follows up on a May 31 symposium in Athens about the development of a "Made in Greece" brand and how it might work and help producers and exporters. Useful notes for those interested in considering the Russian market, where Spain and Italy dominate. Greek olive oil producers are warned to beware of fraudulent orders for exports. Information (in Greek) about subsidies for investments in olive oil processing. A discussion of olive oil prices, sales, and trends in several European countries from 2015 to the present. This is a press release about an event in Athens that featured American expert Alexandra Devarenne as well as a number of speakers from the Greek olive oil world. "The new agri-food promotion portal ... is ... designed to be a one-stop-shop for organisations to find out how to get EU funding for their promotion programmes, search for potential programme partners and find useful information on entering new export markets." This is the European Commission link discussed in the article: http://ec.europa.eu/chafea/agri/. Useful information for those interested in the American olive oil market.